I stopped off at a hardware store not far from the Zhongguancun electronics area, and then crossed over the Fourth Ring Road using the sky bridge (otherwise known as a pedestrian over-crossing). 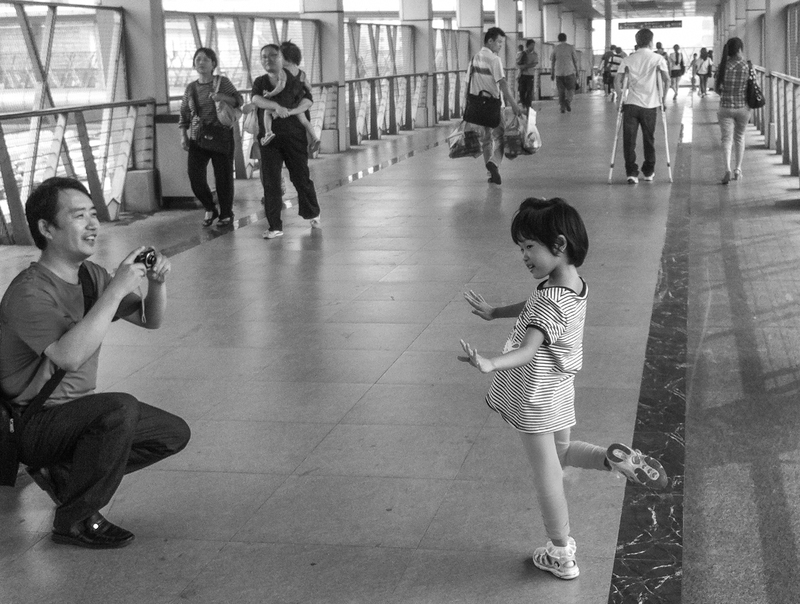 About midway across, I saw this father taking a pictures of his daughter with the Fourth Ring Road as a background. In this shot, she’d just completed a pirouette. Posted in Beijing Youjian and tagged beijing, china, pirouette, sky bridge on 2012-08-26 by sujinyan.